Newsmax, a top news site for conservatives in the United States, published its list of the "Top 100 Christian Leaders in America" on Monday. 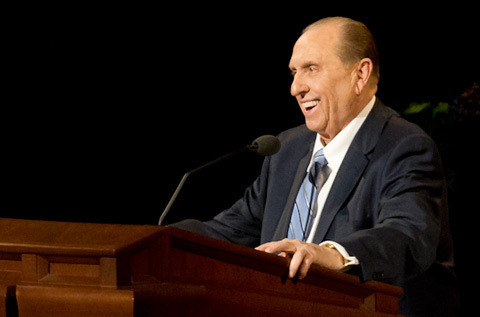 Despite the unique criteria, a familiar name still floats to the top: President Thomas S. Monson. He comes in at #13 on the list, which is nothing to sneeze at given the changing standard of what makes an "influential" person in 2015. No specific reason is given for each individual's ranking on the list, but this isn't the first time the Church's influence has been featured by Newsmax. In February of last year, Newsmax also listed LDS.org as one of the top 10 religious websites for baby boomers, and again in May of 2014, the Church was listed as one of the 12 most popular world religions and sects.